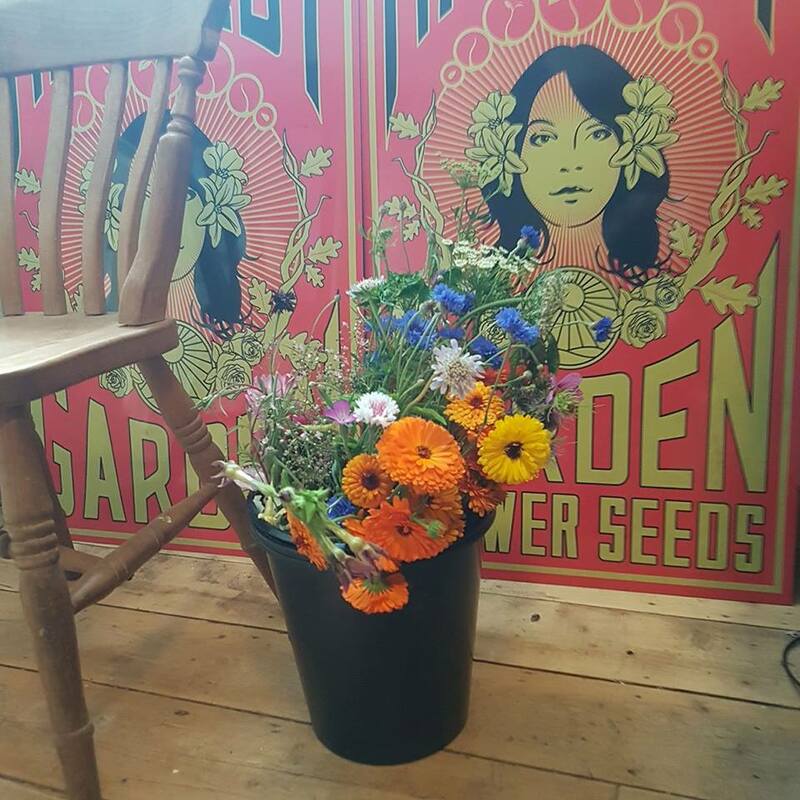 For those just embarking on the rock and roll, rollercoaster ride that is the glitzy and heady world of cut flower growing, it is important to choose the right flowers at the outset. 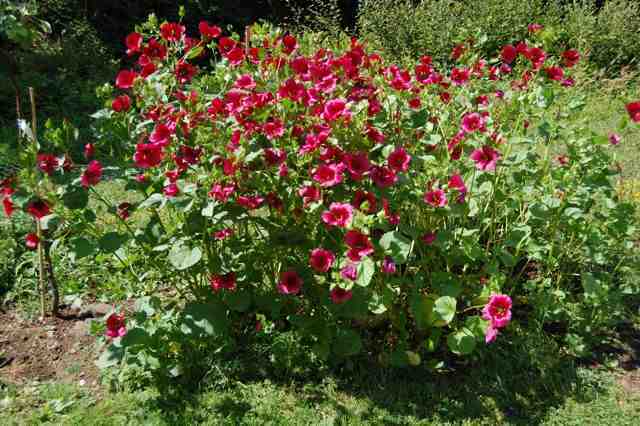 Hardy annuals are perhaps the easiest of all the flowers you can grow for your cutting patch. This does not mean that they are any less beautiful than anything more challenging. 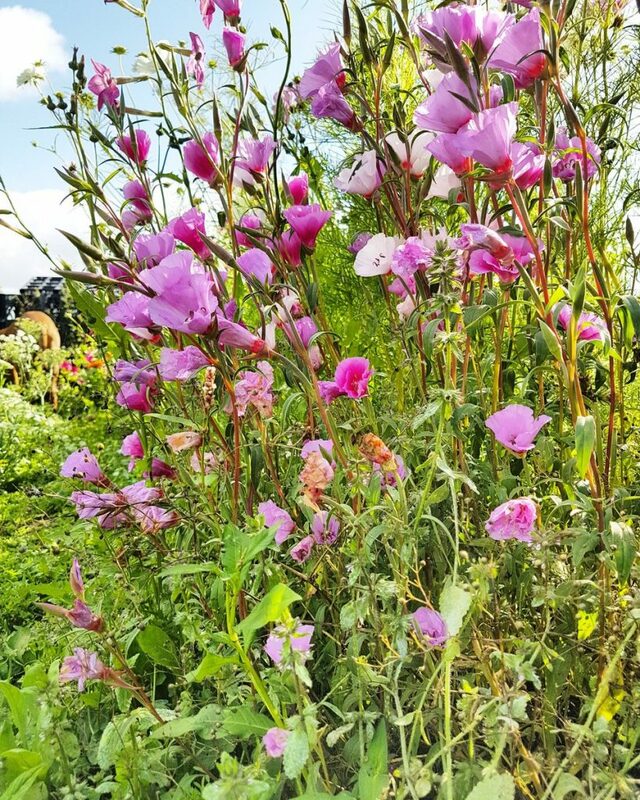 Hardies are often ‘cut and come again’, in that you can keep harvesting the flowers over a long period and more will grow until the plant is finally exhausted. I would say about two-thirds of my flower patch is made up of Hardy annuals…I love the little beasties. 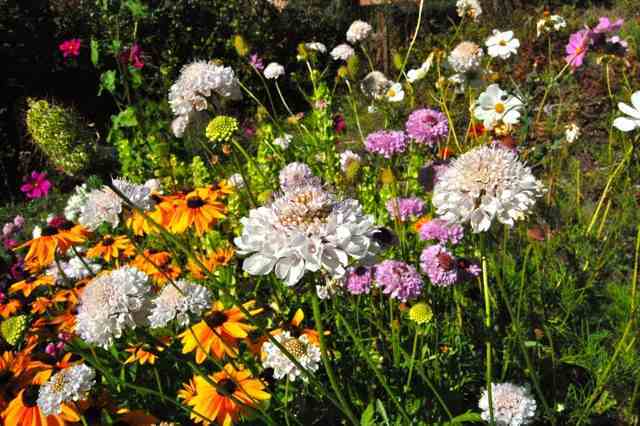 If you are seeking tips on growing from seed, then please click over to, ‘How to sow seeds for your cut flower patch’. This is a simple list of my Top 10 Hardy Annuals. I have chosen them to give a wide range of form and colour, their simplicity to grow and for their silky skills in producing bucket loads of flowers. 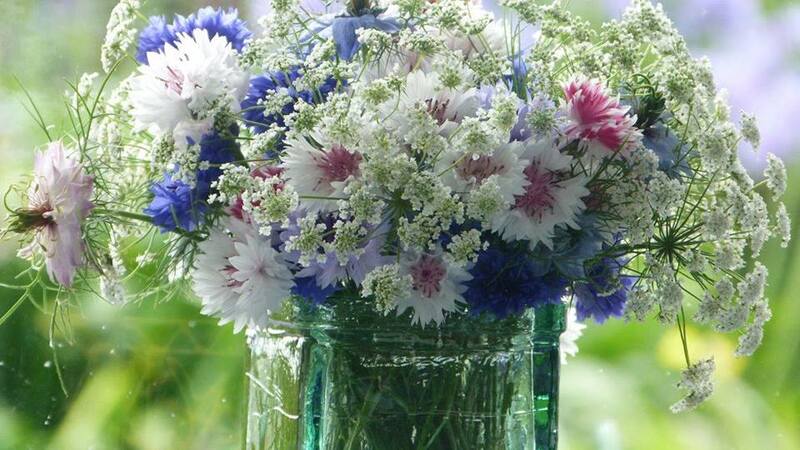 These beautiful cornflowers were grown by a customer but I can’t find her name. If it’s you please let me know so I can credit you. I grow three varieties of Cornflower. ‘Blue Ball’, ‘Black Ball’ and ‘Classic Romantic’. If I was only allowed it would be ‘Blue Ball’. These were among the first flowers I ever grew for cutting and therefore I have a soft spot for them. They have a simplicity that is hard to beat. You don’t need many plants, I tend to grow about a square meter and that will give me plenty for the house and my neighbours. Too many plants are hard to keep on top of…too many flowers! The super groovy Malope ‘Vulcan’. Malope is a handsome creature. This flower isn’t commonly grown which seems a shame. She will produce hundreds of satinesque (made up word) blooms which if left, turn into quirky seed heads. 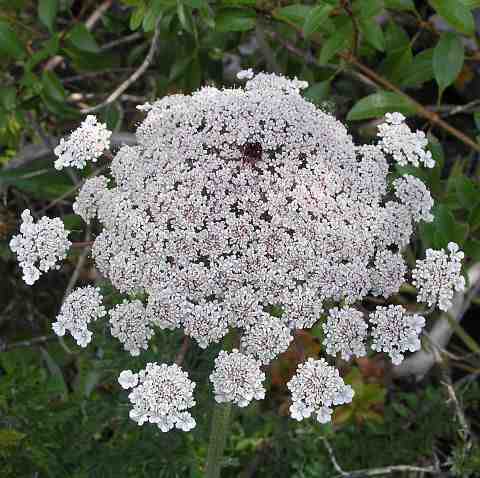 Daucus carota is wild carot. The flower has become a firm favourite of mine. This season she was prolific in my patch and what a joy. Strong stems holding up dense umbels of pale flowers with a beautifully placed red dot in the centre. Larkspur can be a little erratic to germinate. I recommend starting them off in pots. Most gardening literature suggests direct sowing because the seedling doesn’t like root disturbance but if you are careful when planting out you shouldn’t have any issues. Larkspur ‘Imperials’ offer wonderful spires in a range of colours. Calendula are the bright orange fellows at the front. 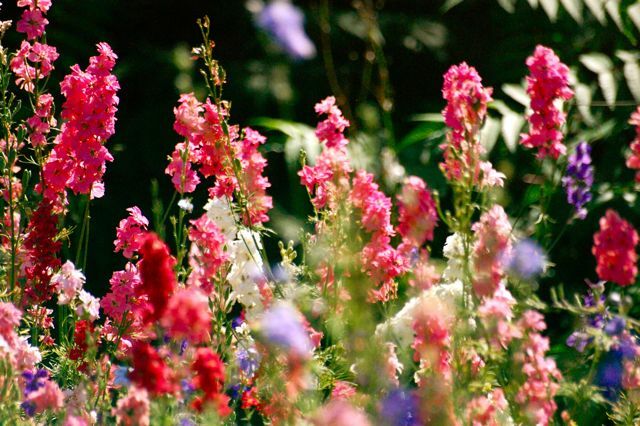 These are among the easiest flowers to grow. If you can’t grow these then give up and take up knitting. Calendula are bright, beautiful and perfectly charming. I wouldn’t be without them. People that don’t like sweet peas are wired up wrong. 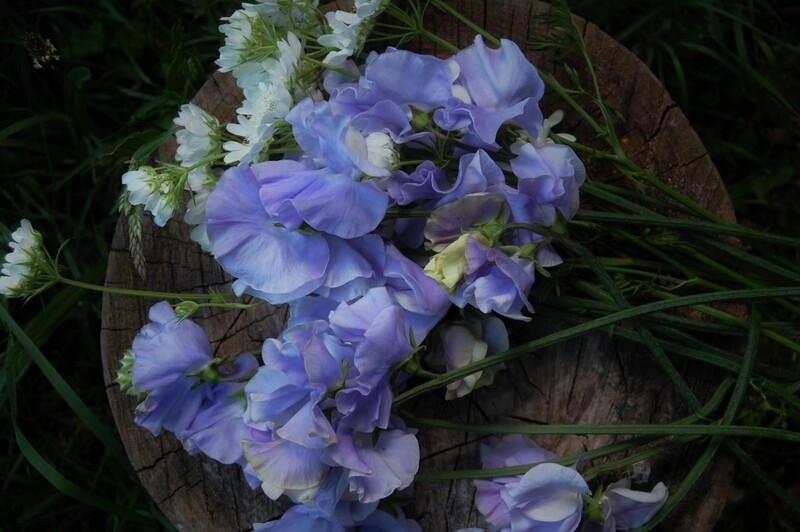 Easy to grow and very abundant…and, of course, they have a delightful scent. I stock eight varieties that I have found to be both reliable and beautiful. I don’t sell all that many packets of Godetia, I think folk may consider them old fashioned. ‘Crown’ is the variety that I grow for cutting. Willowy spires filled with pink flowers. They are uber useful in arrangements. The slightly yukky name comes from the fact our ancestors used Scabiosa to heal wounds. This is another old school flower for the cutting garden. She is actually a member of the honeysuckle family. This year I grew heaps of ‘Back in Black’…this is a dark and moody beast. 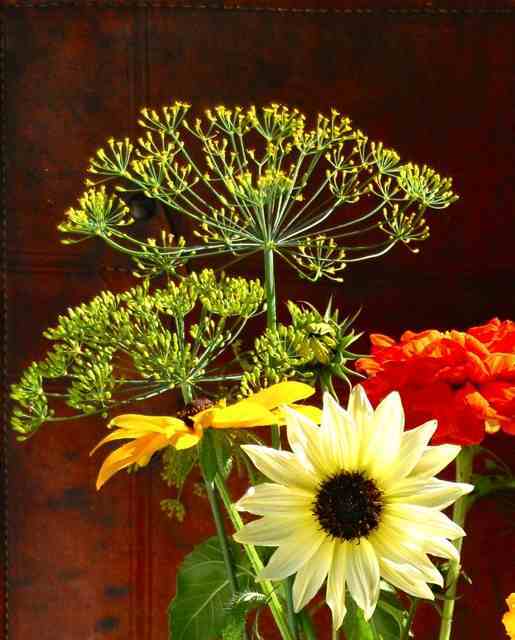 It looks amazing when displayed with the zingy citrus green of Dill ‘Mammoth’. Dill isn’t something that may spring to mind for the cutting patch but I like to have lots dotted around. ‘Mammoth’ can tower to five foot. The flowers have sort of vitalness about them. They are the double espressos of the patch. Chrysanthemum ‘Rainbow’…not the best pic…I will dig out another later today. This is the only annual Chrysanthemum I grow. Like Calendula, this flower is a joy to grow and to be around. The flowers are like tie-dyes. She is not as abundant as some of the above but still one not to be without. I hope this gives you a general insight into the varied collection of Hardy annuals. 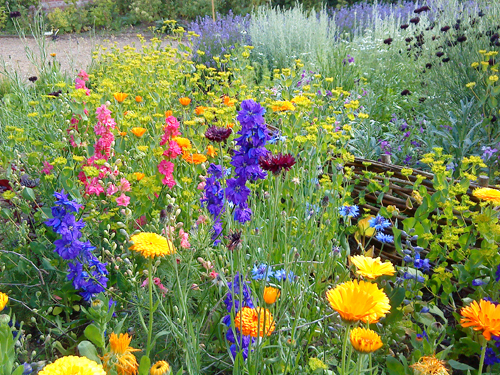 If you haven’t tried growing them I would certainly recommend them as the best starting point for a cut flower patch. They won’t let you down and they will fill your home full of flowers from June until the end of October. If you have any questions, please come and find me on Facebook, Instagram or Twitter. Facebook is probably the most chatty and informative of the three…the flower growing community there is a very warm and friendly bunch of folk. If you sign up to the newsletter (see right-hand sidebar) your life will become better than it already is. 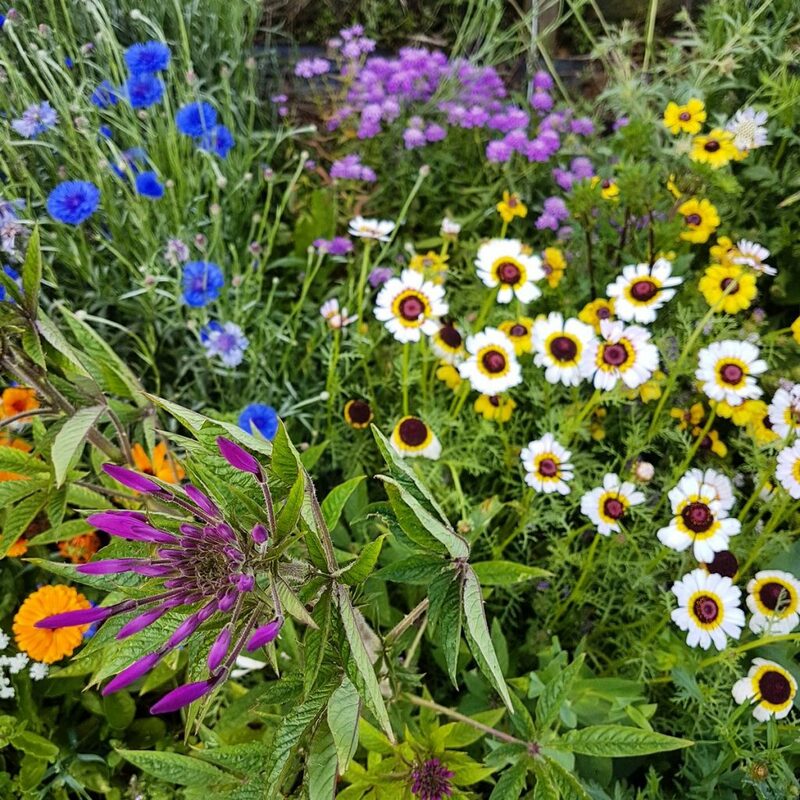 Thank you for visiting…tomorrow I will hope to enthral millions of people around the globe with my list of Top 10 Half Hardy Annuals.